Employee & Customer Experience How do I get the best from my employees? 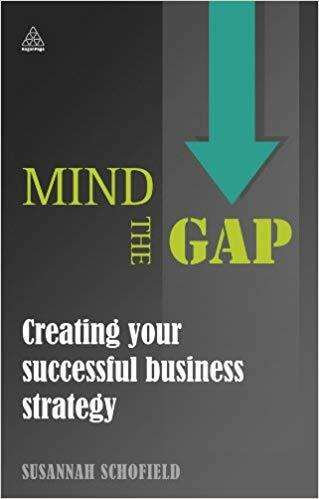 In this lesson; Susannah Schofield, author of Mind the Gap, discusses how company’s must take employees into consideration and the warning signs for when things can go wrong. Grant Leboff: One of the things that obviously companies need to do if they’re going to deliver an excellent product or service, is making sure that the employees are aligned with the brand and the belief systems of both. How does a company start to look at that and take that into consideration? Susannah Schofield: I think it’s so important. A lot of the companies I work with, including having worked at to them as well, is that you tend to get into a boardroom and people in the board come up with a brilliant idea and it’s absolutely conceptual and marvellous, and by the time it’s filtered down to those that are going to actually deliver that, it’s become a little bit, ‘Oh, we just got to do it – this is what we’ve been told from the great and the good’. And then the worry is, is when it goes wrong on the ground or it’s not working, the message of it’s not working gets filtered and watered down, because actually, by the time you go to tell the very man or the lady at the top, but that it’s not working, then actually you want to break it to them generally because it was their idea. So it sort of dilutes both ways and somewhere in the middle is the brand expectation where the customers have their touch points. If that doesn’t align or does it feel real, then it just becomes a kind of fable that’s not actually out there delivering anything. And I think now, brand is so… it’s so touchable. Whether it’s through social media, whether it’s on a website, whether it’s… we can see a company from every angle all the time and even to the extent now, that there are websites that will allow individuals to report back on their organisations as a free for all. So actually, you can go on and put in where the company you work for and see who’s left, who’s rated it, if you’re applying for job, you can now see that. It becomes so translucent, from the starting day to the end, retirement day, that it’s so important to understand. I truly believe, nobody gets up in the morning and goes to work thinking I’m going to do a rubbish job today just for the fun of it, I’m going to really try and mess things up. We all go to work to try our very, very best. But if we go somewhere where we feel engaged and we feel focused and we feel appreciated and even if it’s just someone saying thanks for doing that, that’s a really great job. Thank you. You just get that feeling of warmth inside. And I think that sometimes, when companies work at strategy, what’s important is they forget actually that human ability. Some of the feedback we get from the Dice Matrix we do is things like, there are never enough teaspoons in the kitchen. Now at board level you can hear people saying what’s that about? But that’s what’s really important, because if you only have a short tea break and you go in and you can’t make your cup of tea, that’s a frustration that impacts the rest of your morning. But the understanding of that is vital because you will not drive productivity, efficiency and growth if you don’t address those issues, irrelevant of how basic you think they might be. I’ve worked with some great companies where they just went out and bought everybody their own cup, everybody, their own teaspoon and everybody there own slippers, so that actually they could physically finish working, go and have a tea break, take off the big heavy boots from the manufacturing side, pop on slippers, have your cup, with your name or with your spoon, that’s always there. Everybody respected everything, efficiency went up. Actually, interestingly, people started taking slightly shorter tea breaks because they wanted to wash their cuff pop and put it back and make sure it was there for next time. But it’s sort of breeds that nice place to work. And I think if you respect where you work, you respect what you do and that’s just so important. Grant Leboff: So where do you see, in your research, are there patterns where you see it go wrong and what are the patterns that you see in some of that research? 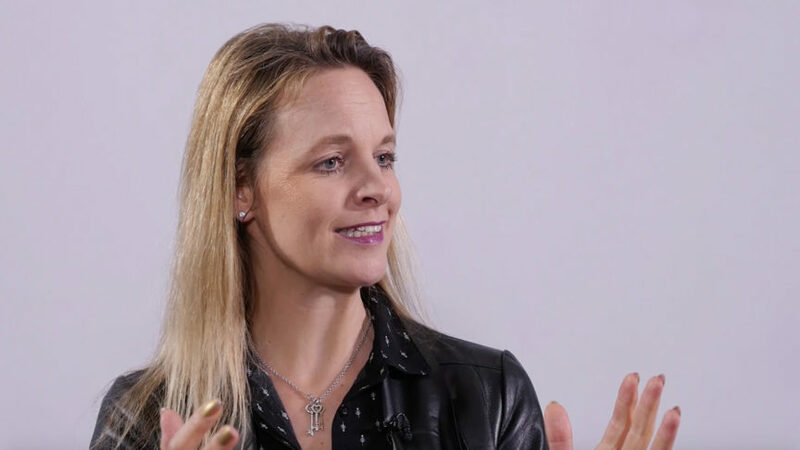 Susannah Schofield: As a whole, it tends to start going wrong as a company, either merges with another company and you get two very different brands or brand values come colliding together. Where there’s potentially an acquisition and people feel, kind of threatened and their job security goes. And I think the minute there’s any change or companies come under stress because they’re not making enough money and they need to make efficiency changes or the like, I think the moment it gets crushed from an angle, that’s when things change. We all know as individuals in our home life if something changes, if we have new neighbours moving in, if we have to sell our house, if it falls through, those pressures become, as we’re done too at work as well. And I think it’s very easy sometimes to be at the top of the tree and to effectively be able to make those decisions, without really remembering how hard it was when you were living through those changes and feeling out of control. So I think, if you can empower people, take them on the journey, tell them – or maybe it’s not good news – maybe it is about confronting 30 people and saying 10 of you have got to go. But actually, I think to take people on that journey and explain as you go, buys in more trust and I think again, where there’s trust, there’s, there’s a happier working environment. Grant Leboff: So are there other behaviours or things that you can say, from the research, you know work? That these are the three, four, five things, whatever it is that companies should be doing to make sure they’re bringing the best out of their employees, because you see those patterns time and time again? Susannah Schofield: Absolutely. Integrity. Integrity buys a wealth of appreciation from staff. Just that honesty – you know, don’t say, and then do. We’ve been doing some work with one company who shall remain nameless.. they were promising evolution, not revolution. Well, it wasn’t what came out, looked totally different, didn’t feel the same and was such a transformation of the company, but then everybody in it, whether they were made redundant or stayed, felt cheated and felt disenfranchised from the organisation, because it wasn’t what they said was going to happen. So I think honesty and integrity drives the right behaviour, but also it enables you to set really fair KPIs, really fair objectives, really understand what you need to drive. And I think when we go into organisations into a Dice Matrix, it’s those; without quotas, without clear KPI’s right from the top down to the bottom that are aligned, that really, really struggled to keep motivation, keep people in and keep employees engaged.